In today’s Gospel from John 18, the final moments of Jesus’ life are detailed. In the Roman Catholic liturgy, there is one line, inserted into the text that is striking: Here all kneel and pause for a short time. This kneeling takes place after Jesus has died on the cross. The entire congregation takes a moment to take a breath and reflect on the immensity of the moment. A moment like this is not only reflective but instructive. We do well when we acknowledge- and at times are blown away by- God’s goodness in our midst. These are the moments that take our breath away. This is awestruck wonder. What’s more: this gift is available to you and me all of the time. Today, in your comings and goings, pray for the grace to let God take your breath away. I’ve worked in church ministry for over twenty years. One error I have continually seen is a lack of management. In erring on “being nice”, priests, sisters, principals and supervisors undermanage their people. Afraid of giving tough feedback, they figure that the person reporting to them will somehow “figure it out”. They lead by example. The problem with that is that, all to often, they underteach. They put up with little flaws that expand over time. You end up with a large portion of the professional workforce that is “ok” but not particularly exemplary. I realize that this sounds like a condemnation- it’s not meant to be. Rather, it’s an observation and one that is challenged through today’s Gospel reading. Look at Jesus example and his words. He not only models good behavior but he explains it as well. We have a phrase in our house: shifty eyes. This usually comes up when one of our kids mentions someone who has gotten into trouble at school. “He’s got the shifty eyes,” I’ll typically say. Someone with shifty eyes is hiding something and doesn’t want to give you the opportunity to look them in the eye. As their eyes keep darting around, they keep you at arm’s length. It’s safer for them. In today’s Gospel reading from Matthew 26, Judas betrays Jesus at the Last Supper. If there was ever someone with shifty eyes, it was Judas. Jesus, in docility to the Father, accepts the betrayal. Imagine how much this must have hurt. Imagine the long look in the eyes that took place at the Last Supper. If I was there, I probably would have reached for the wine. Was it a glance or an awkward “eye lock” of 10-20 seconds? Whatever the case, we can learn from this. To whatever degree you are able, give Jesus your eyes. Instead of betrayal, let your glance be one of love. Give Jesus your silence today. Even if you can only close your eyes for two minutes, give him that. In today’s Gospel reading from John 13, we are reminded of Jesus’ interactions with Judas. Reclining at table, within the context of a meal, Jesus instructs Judas (thought to be Jesus’ friend) to be quick. Jesus knew what was about to happen. In a painful, almost intimate moment, he looks Judas in the eye and sends him on his way. Jesus knew that discipleship is a messy process. Some get it. Others do not. He realized that his role was to invite all, even if it meant suffering the pain of betrayal. We have a similar invitation- invite those you know to follow Jesus. Your neighbors, coworkers, those on the internet, etc. Some won’t get it. Some will be offended. Nonetheless, the call is still ours to follow Christ and involve others in the process. For Christians, Holy Week is the most focused time of the year. I’ve heard this since I was a kid. The problem, if we can call it one, is that life still churns around us while we try to find solace in a seemingly ordinary week. But, as is often the case, we know that it is not ordinary. I’m wondering today about something quite simple- how do we find quiet underneath the noise? Underneath the churn, how do we walk differently during Holy Week? I write these words from my basement. It’s morning and my teenagers are upstairs prepping their breakfast. They talk about the rain the night before while the coffee maker comes to life. Noise. Beautiful noise. The ordinary sounds of a busy family. The churn. The dog rambles up the stairs, leaving me to my words. How do you find quiet when your home is full of noise? What you don’t do is eliminate the noise, unless of course you are a monk. That’s not the call for most of us. Rather, it’s about appreciating the facts around you and inviting the Lord into the churn. I get to listen to the sound of teenagers rustling around before their school day. I get to write in my journal. I get to consider how Holy Week is the most profound invitation of the year. Try inviting the Lord into the noise of your life this week. I suspect you’ll find him waiting for you there. This post is not to try and convince you that the Bible is important. You and I already know that. Rather, I’ll try to remind us of its gentle power within our daily prayer lives. As a Catholic, I am often surrounded by other believers who don’t actually read their Bibles on a regular basis. This sounds judgy, I know. Still, I know enough Catholics for enough time to acknowledge an ugly truth- most don’t read their Bibles. Many are still strong disciples of Christ but simply haven’t made Scripture a core component of their daily lives. and a sense of private shame that we don’t read our Bibles more often. Like saving for retirement or personal finances, Bible reading can fall into the same murky category of our lives. I’d like to challenge that and invite each of us to begin anew. This story is one of God loving all people to the point of sending his very son, Jesus. As Christopher West says, the entirety of salvation history is summed up this way, “God wants to marry us.” The Bible not only reminds us of this truth but gives a backstage pass to God’s plan to woo us and be in relationship with us. Ok I’m convinced! The Bible is important. You probably feel the same way. Find your Bible and spend two minutes with it. Don’t have one? Go over to Amazon and buy one. Find one that you enjoy holding- not too big, not too small, etc. Choose to read either the daily Mass readings or start with one particular book. Catholics are familiar with a liturgical calendar and if you read the daily readings, you’ll cover the entire Bible in about three years. Make a decision that you’ll read your Bible every day. Just choose a small section, a paragraph or two and make progress that way. Use a technique called Lectio Divina. For a primer, check this out. 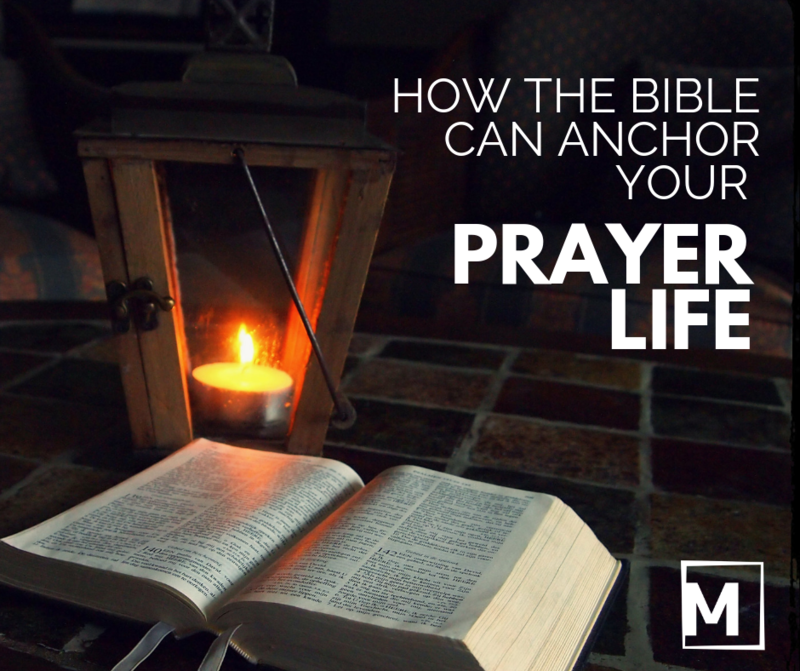 Over time, let your daily Bible reading become a spiritual anchor for your day. You’ll eventually feel as if something is missing if you go a day without reading your Bible- that’s the goal! Eventually, you’ll find that your daily Bible reading will become a reference point. It will stay with you during the day and then, when you least expect it, the Lord will pull it out of you, holding up a key idea or phrase for you to savor.